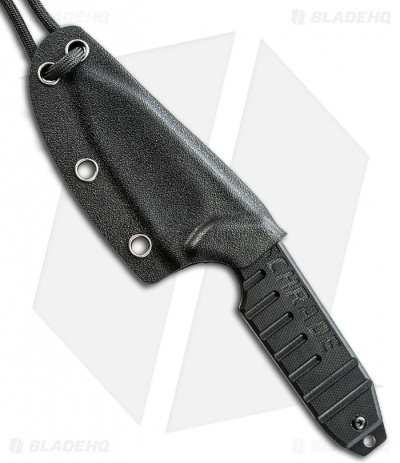 The SCHF16 fixed blade from Schrade features a reverse tanto style blade. Full-tang with G-10 scales and lanyard hole. 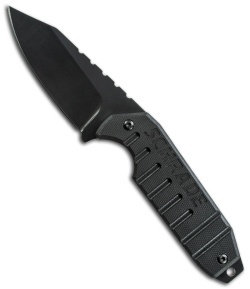 The SCHF16 is comfortable in hand with a deep index groove and ribbed scales for grip. Includes a thermoplastic sheath with neck cord. I've carried the F16 as a neck knife for the last 2 years. At first it felt a little heavy for a neck knife but I gradually got used to it....now I don't even know I've got it on. It's on me 24/7....even in the shower, I'm never without it. Strong, dependable.....unseen even wearing just a T-shirt and shorts.....love this knife....and you can't beat the price! I got this knife for EDC (I liked the scales, blade shape, and sheath) and it hasn't disappointed yet. I have carried it for well over six month and it is very comfortable as a neck knife and as a belt knife on a static cord. Really good ergos, even for larger hands. Good budget steel, tight sheath, and perfect for horizontal abdomen-carry. Use (1) IWB loop and affix across sheath at upper-most eyelet... it's small and light enough that you'll forget it's there (but easier to access than it's configuration as a neck knife). Can't beat this knife for the money.